A night of yummy food and festivities from the South. Spend some time learning about the deep South and the season of Lent. Pick up an easy jambalaya box mix in the rice aisle of your local grocery store. 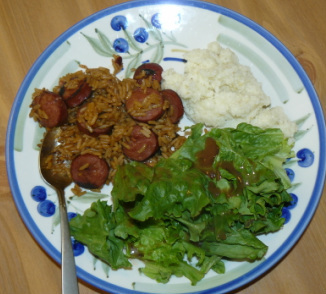 Add shrimp for an authentic Southern meal or choose chicken or sausage if it's easier. Grits are a traditional Southern food and take just 90 seconds in the microwave if you use the instant grits packets. Mix in some butter and cheese if you want or just eat plain. 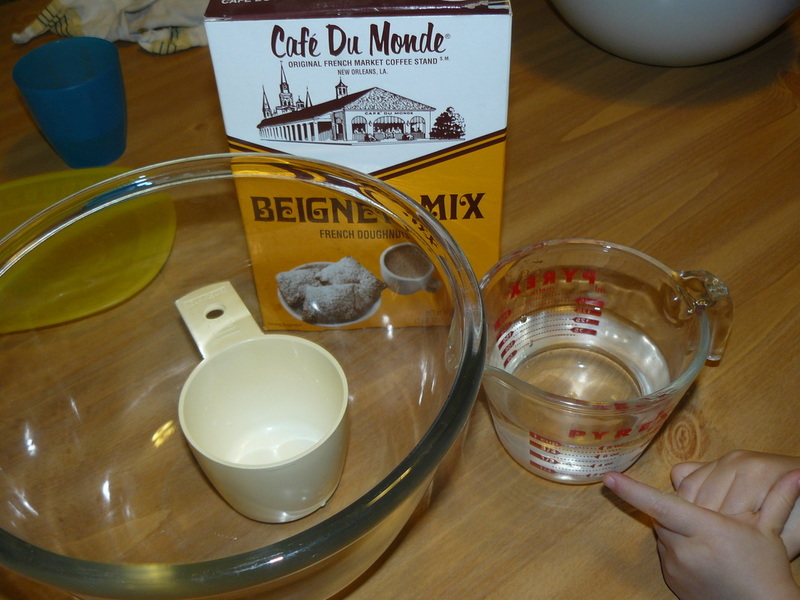 If you don’t have beignet mix in your cabinet, easy homemade beignets are as close as a pot of oil and a can of biscuits. Flatten biscuits on counter and divide into halves or quarters. Shape into a square with your hands. Drop in 1-2 inches of oil heated over medium high. They will begin to puff and turn golden. 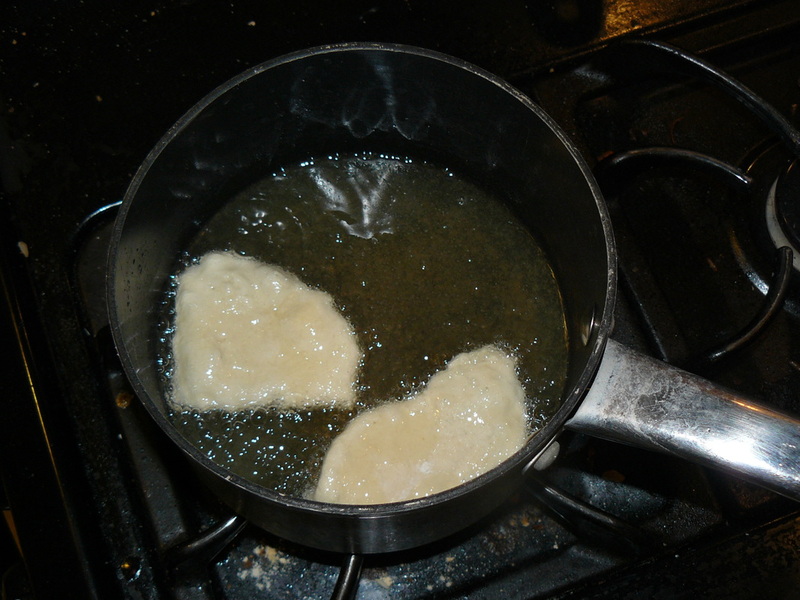 Continue to baste with oil on top until puffed then flip and cook on other side. It will be approx. 30 seconds to 1 minute on each side. 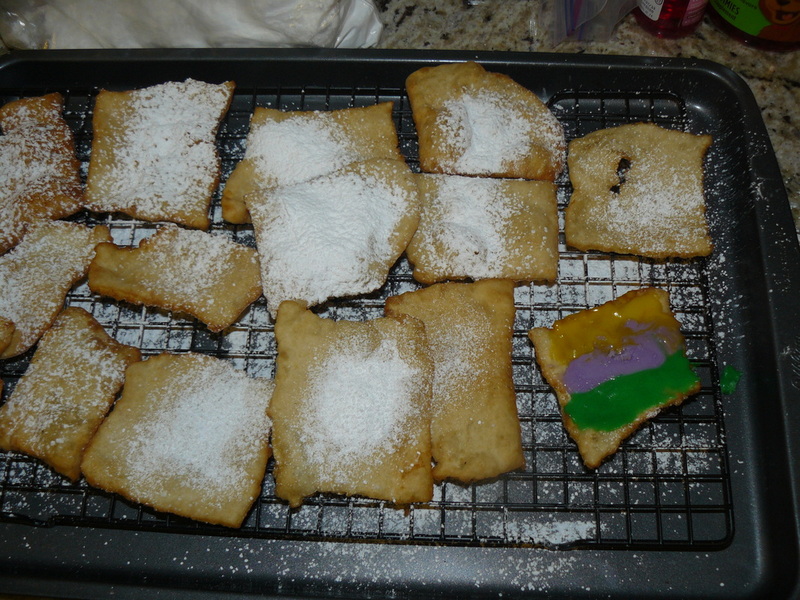 Remove onto a cookie cooling rack and dust with powder sugar. Enjoy with a cup of chocolate milk, hot chocolate or coffee. 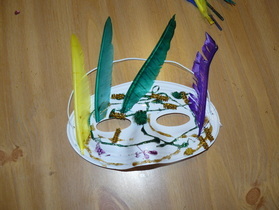 Purchase mask forms from your neighborhood store, cut out mask shape or use template from here. Decorate with glitter, sequins, feathers, markers, etc. 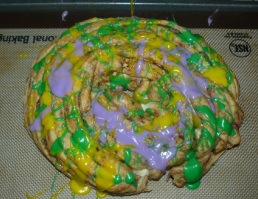 King Cakes are a sweet roll dough filled with cream cheese, fruit filling and shaped in a circle. Icing is sprinkled on top in the colors of gold, purple and green to represent the 3 gifts that the wise men brought Jesus; gold, frankincense, myrrh. 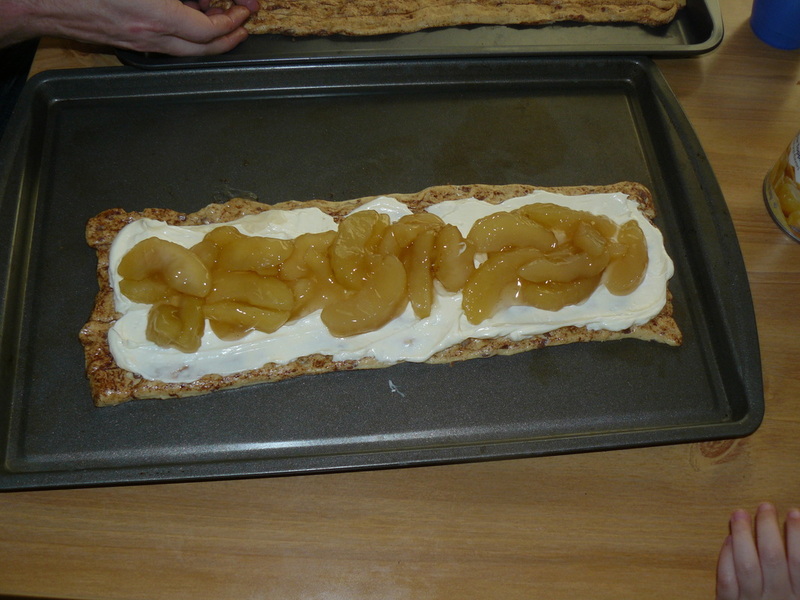 Several quick recipes can be found using store bought ingredients. 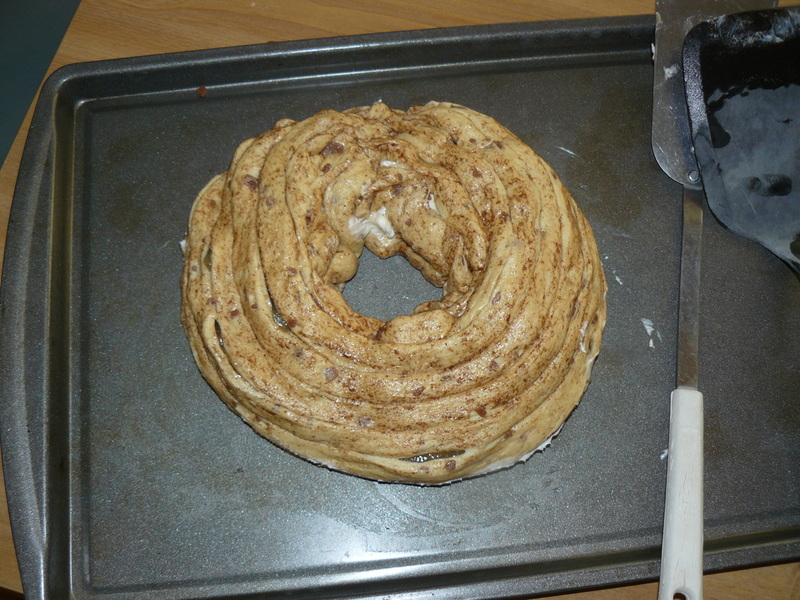 I wanted to use a sweet roll bread recipe found here, and also want to try this crescent roll recipe found here, but I had cinnamon roll dough so I tried that instead. It would have been a great success if the pieces would have stuck together. But the I must say I’ve tried (and failed) twice to actually ‘make’the dough so for a stress-free family night I recommend the above methods. 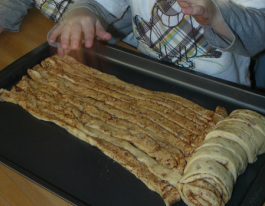 A fun addition is to add a small plastic toy or baby in the dough roll. Tradition says whoever finds the baby has to bring the King Cake the next year. For family night, you can make it fun and have the finder get a special prize, such as an extra book at bedtime, late bedtime, movie pick, etc. 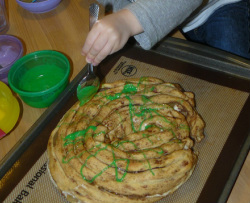 Use premade icing or make your own icing with powder sugar and milk stirred in until a thin consistency. 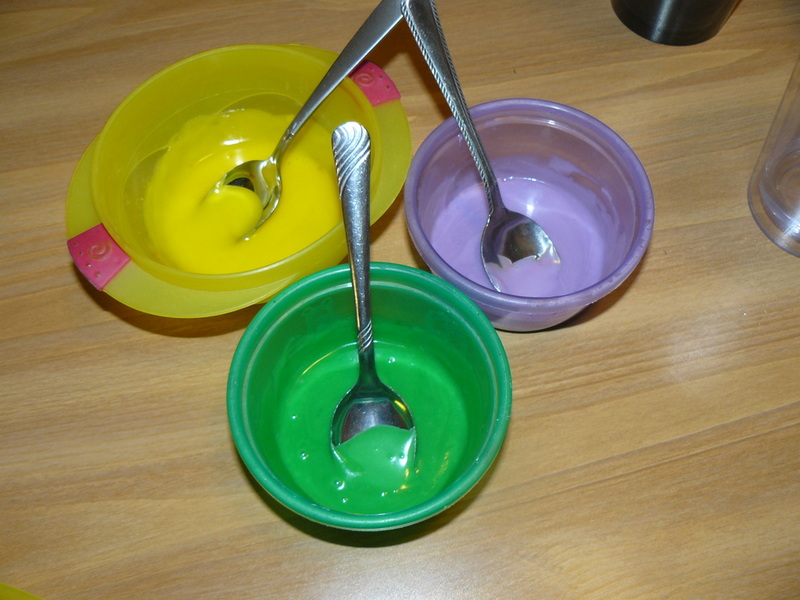 Color icing gold, purple and green in 3 separate bowls. Once cake is baked and cooled, drizzle icing on top. Slice, eat and enjoy.